Dryer Vent Wizard is the nation’s largest chain of dryer vent cleaning, repair and installation franchises with nearly 60 locations in the US. Visit http://www.hollandmidryerventcleaning.com/ to learn more. Dryer Vent Wizard provides residential and commercial dryer vent cleaning, dryer vent repair and new dryer vent installation service to make clothes dryers function more safely and efficiently. Eliminate a fire hazard and improve dryer performance with professional dryer vent service by the Wizard. Dryer Vent Cleaning Holland Michigan is the #1 way to Prevent Dryer Fires! The Dryer Vent Cleaning Holland Michigan Wizard Gets the Lint Out! 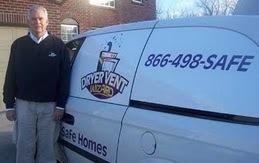 The Dryer Vent Cleaning Holland Michigan Wizard has the Solution! If your dryer is taking additional cycles to dry each load then you need a dryer vent cleaning Holland Michigan service! Call the Dryer Vent Cleaning Holland Michigan Wizard at 616-284-0048or 866-498-SAFE (7233) to Schedule a Dryer Vent Inspection Today! The Dryer Vent Cleaning Holland Michigan Wizard professionally inspects, cleans, repairs, installs and reroutes dryer vents for homeowners and in commercially-owned buildings. Poorly maintained dryer vents cause fire hazards and cost substantially more money to operate. 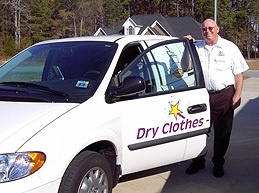 If it takes more than one cycle to dry, you need a dryer vent cleaning Holland Michigan specialist! The Dryer Vent Cleaning Holland Michigan Wizard explains: Heat and air flow are the two main ingredients of a well-functioning clothes dryer. Heat is produced by electricity or natural gas. The dryer vent system is responsible for producing air flow. Without air flow, the dryer labors harder to do its job, consuming more energy and overworking to the point of breaking down or causing a fire. The Holland Michigan Dryer Vent Cleaning Wizard says clothes dryers must eliminate the moisture recovered during the heating of damp clothing. The moisture is held in the warm air produced in the dryer as humidity and is normally expelled to the outdoors through the dryer vent. If this air cannot be adequately removed, poor dryer performance and increased energy expense will be the result. The Dryer Vent Cleaning Holland Michigan Wizard has the solution to make your clothes dryer operate more efficiently. The moisture can also condense into pools of water in the dryer vent, eventually leaking out. Any moisture accumulated inside the dryer vent system is a sign of poor venting which should be looked into by the Dryer Vent Cleaning Holland Michigan Wizard. Call the Dryer Vent Inspection Holland Michigan Wizard at 616-284-0048or 866-498-SAFE (7233) to Schedule a Dryer Vent Inspection Today! Call the Dryer Vent Installation Holland Michigan Wizard at 616-284-0048or 866-498-SAFE (7233) to Schedule a Dryer Vent Inspection Today! Improper venting will kill your dryer; The Dryer Vent Cleaning Holland MichiganWizard sees it happen a lot. Dryer vent cleaning Holland Michigan Wizard will improve the air quality in your home. Service by the Dryer Vent Cleaning Holland Michigan Wizard will save you time and money while improving dryer performance. Who Needs the Dryer Vent Cleaning Holland Michigan Wizard? Spring and Fall are ideal times to schedule service by the dryer vent cleaning Holland Michigan Wizard. YOUR DRYER VENTS ARE ALL-IMPORTANT: There are many things that contribute to the proper operation of a clothes dryer. The dryer vent system is perhaps the most critical. The dryer vent cleaning Holland Michigan Wizard describes a dryer's functions and how the dryer vent system plays a part. This moisture can also condense into pools of water in the dryer vent, eventually leaking out. Any moisture accumulation inside the dryer ducting is a sign of poor venting which should be looked into. Schedule the Dryer Vent Cleaning Holland Michigan Wizard for a complete dryer vent inspection. HEAT: The heat is another important function of a dryer. Many current dryer models have a 'one-time', non-resettable, thermal fuse or safety. These safety devices will open should the dryer's vent not be installed properly, or if it becomes restricted. Once this happens, the dryer will no longer heat and will require the part to be replaced by the dryer vent cleaning Holland MichiganWizard to correct the condition. Call the Dryer Vent Service Holland Michigan Wizard at 616-284-0048or 866-498-SAFE (7233) to Schedule a Dryer Vent Inspection Today! Call the Dryer Vent Cleaning Holland Michigan Wizard and get Peace of Mind knowing Your Clothes Dryer is Operating Safely and Efficiently! Dryer Vent Cleaning Holland Michigan Get the Lint Out! Dryer Vent Cleaning Holland Michigan is Important! Most people have their furnaces cleaned regularly; however, very few people realize the importance of dryer vent cleaning Holland Michigan service. According to the National Fire Protection Association over 15,000 dryer fires are reported each year with failure to clean dryer vents being the number one cause. 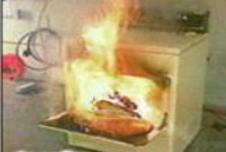 Believe it or not, your clothes dryer is more likely to cause a fire than your furnace or stove! The Dryer Vent Cleaning Holland Michigan Wizard recommends annual dryer vent inspections and regular dryer vent cleaning service. Besides being a fire hazard, poorly vented gas dryers can be a carbon monoxide hazard. The dryer vent system on gas dryers removes gas by-products, like carbon monoxide from your home. Let the Dryer Vent Cleaning Holland Michigan Wizard perform a complete inspection of your dryer vent system to provide peace of mind that your dryer is operating safely and efficiently. When a dryer vent system is clogged with lint, air flow is restricted, so the dryer works harder and uses more energy. This creates higher utility bills and a greater chance of the appliance breaking down. Appliance repairs and/or replacement can be expensive. You can prolong the life of your clothes dryer with proper dryer vent cleaning and maintenance. The Dryer Vent Cleaning Holland Michigan Wizard provides professional dryer vent services for homes and businesses in his community. A dryer fire is caused by lint build-up which restricts airflow and leads to overheating. Dryers produce a lot of lint and simply cleaning the lint screen is not enough. Though the lint filter catches most of the lint, some will escape into the dryer cabinet and the dryer vent system. The dryer ducts remove lint and moisture from your clothes; the moist lint rarely makes it to the vent outside of your home. It can stick to the sides of the ducts where it builds up and eventually dries to a hard paste. This hard paste attracts more sticky lint, eventually creating a blockage which will cause a fire. Regular service by the Dryer Vent Cleaning Holland Michigan Wizard will keep your dryer operating safely and efficiently. Underwriters Laboratories is an independent product safety certification organization that has been testing products for safety for over a century. The Dryer Vent Cleaning Holland Michigan Wizard will inspect your dryer vent system to be sure it meets UL Safety standards in your community. In the past most clothes dryers were in the basement, on an outside wall, with a relatively short, straight vent to the outdoors. Today many newer homes are built with the laundry area located away from an outside wall, near bedrooms on the second floor, where much laundry originates. Though convenient, this means dryer vents are much longer and contain some elbows and bends where lint can accumulate. They’re also harder to reach therefore more difficult to keep cleaned. The ideal dryer vent system is short and straight. The Dryer Vent Cleaning Holland Michigan Wizard can make sure these systems operate safely and efficiently and he has special tools for cleaning the most difficult areas to access. Dryer ducts should be made of rigid metal, not the flexible foil or vinyl type that was used in the old days. The flexible vinyl type of tubing crushes easily and restricts air-flow. The Dryer Vent Installation Holland MichiganWizard professionally installs rigid metal dryer vent systems in homes and commercial buildings. The Dryer Vent Inspection Holland Michigan Wizard does not use sheet metal screws when attaching multiple sections of vent pipe together. They use foil tape instead to eliminate protuberances that cause obstructions where lint can accumulate, eventually leading to a restriction which hampers dryer venting and allows lint to build up. The Dryer Vent Cleaning Holland Michigan Wizard says the dryer vent screen should be washed thoroughly with warm soapy water every few months to remove residue build up caused by dryer sheets. It is actually possible for the lint screen to have so much build-up on it that it will hold water! This definitely restricts air flow and causes the dryer to take more than one cycle to properly dry a load of clothes. Birds have been known to build nests in dryer vents which prevent lint from escaping. Bees, wasps and hornets nests have also been found in dryer vents. The Dryer Vent Cleaning Holland Michigan Wizard recommends annual dryer vent cleaning and regular inspections to be sure the dryer vent system is free of clogs. Call the Dryer Vent Cleaning Holland Michigan Wizard at 616-284-0048or 866-498-SAFE (7233) to Schedule Dryer Vent Service Today! Dryer Vent Cleaning Holland Michigan Wizard is the dryer vent cleaning, installation and repair expert to call for all Holland Michigandryer vent services. The fee for this preventative maintenance service is very little compared to the loss of your home or the lives of you and your family if you should experience a clothes dryer fire. Call the Dryer Vent Installation Holland Michigan Wizard at 616-284-0048or 866-498-SAFE (7233) to Schedule Dryer Vent Installation Service Today! Dryer vent installation, though simple in theory, can be a serious fire hazard if it is not done right. Proper dryer vent installation in Holland Michigan requires understanding the purpose and function of your dryer vent system. Forced heat produced by natural gas or electricity is blown on your laundry as it tumbles in your dryer. This moist heat must escape through the dryer exhaust ducts to the dryer vent outdoors. An improperly installed dryer vent system can restrict airflow and cause your dryer to labor excessively as it does its job. A poorly installed dryer vent system can lead to substantially higher energy bills and pre-mature death of your clothes dryer. Here are some tips from the Dryer Vent Installation Holland MichiganWizard. The Dryer Vent Installation Holland Michigan Wizard only installs dryer vents of rigid material about 4 inches in diameter. The old flexible foil or vinyl tubing do not meet current dryer vent installation safety standards. Dryer lint will build up in the dryer vent system over time. To reduce lint build-up, the Dryer Vent Installation Holland Michigan Wizard makes sure the dryer duct is smooth inside. He joins sections of ductwork with foil tape, not screws that protrude to the inside which can catch and trap lint. The Dryer Vent Installation Holland Michigan Wizard says the law requires all clothes dryers to be vented to the outdoors. If you have a gas dryer, the dryer vent system is responsible for removing gas by-products, like carbon monoxide, from your home. The Dryer Vent Installation Holland Michigan Wizard says the dryer vent tube should be installed with as few turns as possible and the shorter the run, the better. The longer the dryer duct, the harder the dryer works to force the hot air to the vent outside. The Dryer Vent Installation Holland Michigan Wizard says to use straps to support the duct so that there are no low points for lint to collect and build up. Use a level to set horizontal sections with a slight fall to prevent moisture from collecting. The Dryer Vent Installation Holland Michigan Wizard is especially concerned with dryer vent systems in some newer homes, like those built with convenience for the homeowner in mind, without enough consideration to dryer vent safety and efficiency. The laundry area is now located near the center of the home, upstairs between bedrooms where most dirty laundry originates. Now the distance from the dryer to the vent outside is considerably longer. Service by the dryer vent installation Holland Michigan Wizard is most critical for this type of system. According to the Dryer Vent Installation Holland Michigan Wizard it is more difficult to push air through a longer vent because the air inside has weight and volume. The average clothes dryer can handle venting through about 20 feet of venting pipe before having any difficulty. The motor lacks the strength needed to push the air much further as the weight increases and the flow slows down. The Dryer Vent Installation Holland Michigan Wizard is familiar with a variety of dryer vent configurations and he knows how to make all dryer vent systems safe and efficient. Are you sure your dryer vent system is properly installed? If you have any doubts, you need to call The Dryer Vent Installation Holland Michigan Wizard for a complete inspection. 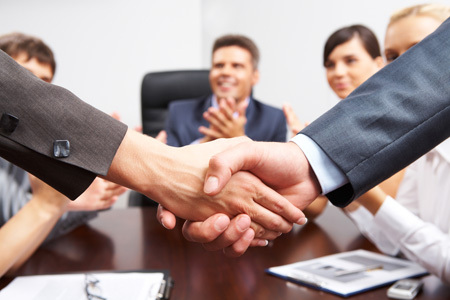 The fee for this type of service quickly pays for itself as it eliminates all the problems listed above.